All through October, Alphabet Soup is celebrating turning three. 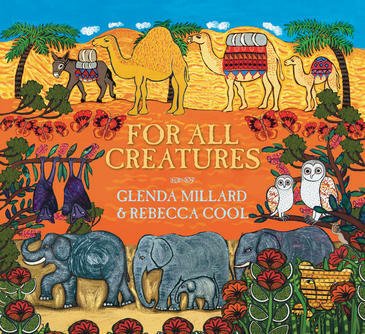 We have heaps of writers and illustrators stopping by to answer THREE QUICK QUESTIONS and today’s visitor is Rebecca Cool, illustrator of Isabella’s Garden and For All Creatures (both written by Glenda Millard). 1. Where do you like to draw/paint/sketch? My favourite place to paint is of course in my studio and I often sketch out ideas while watching T.V. 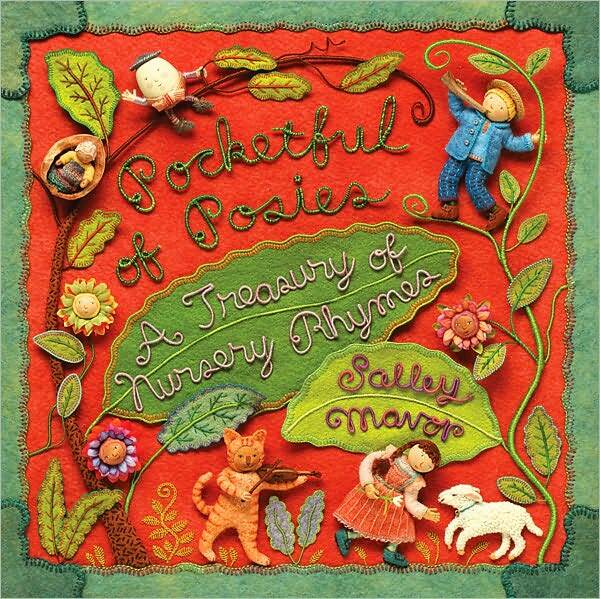 Pocketful of Posies: A Treasury of Nursery Rhymes by Salley Mavor published by Houghton Mifflin is a book I recently bought. Each traditional nursery rhyme is illustrated by stitching onto felt—gorgeous! 3. Can you offer a word or phrase that kids could use for inspiration if they have illustrator’s block? 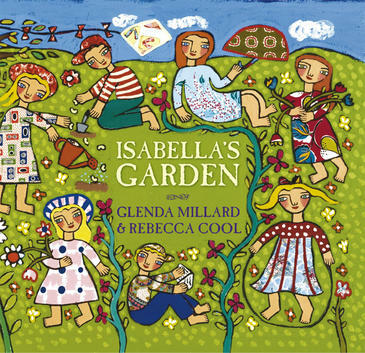 Find out more about Rebecca Cool—visit her website and read about her on the Walker Books website.